Crammer Feeder | NFM Welding Engineers, Inc.
Low bulk density materials such as film scrap, foam board and sheet, carpet fluff and shredded paper can limit the output of extruders to a fraction of their nominal output rates. The melting performance of single screw extruders may also be unstable as the bulk density of the feed varies from day to day, or even box to box. 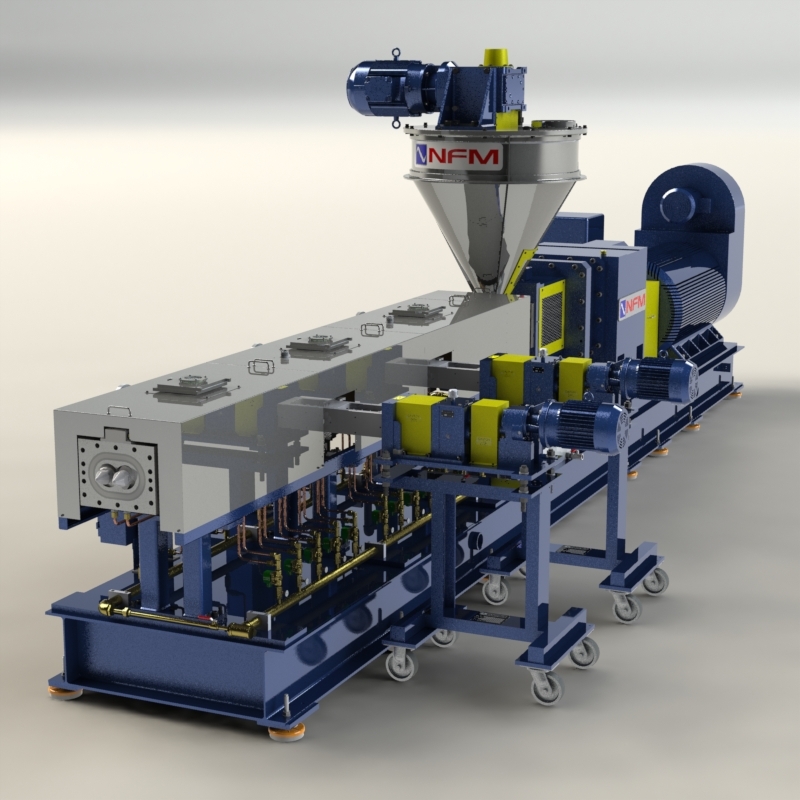 NFM’s Crammer Feeder can improve the feed acceptance of low bulk density materials and dramatically increase your extruder’s production capabilities. The Crammer Feeder comes complete and ready to install on your single or twin screw extruder. The drivetrain consists of a heavy-duty AC TENV motor and direct-coupled right angle speed reducer which provides accurate, yet robust speed control. 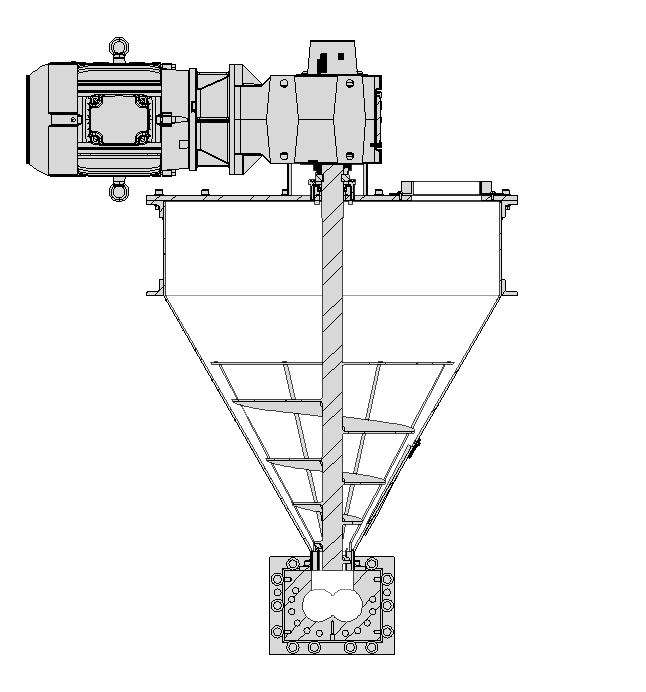 The hopper and feed auger are designed based on your material characteristics to ensure that, no matter the form or density, the Crammer Feeder will effectively compress and feed your materials without “rat holing” or bridging. Standard features include a sight glass and mounting flange to fit your extruder feed opening, variable speed control and over torque protection. Other optional features include level detector, slide gate, purge valve, and swing arm. When it comes to low bulk density materials, especially in recycling applications where materials are ground or shredded, particle size, density and even material flow characteristics can vary dramatically. NFM’s Process Engineers will work with you to tailor the Crammer Feeder design for your specific feed challenges. NFM’s Process Development Lab is outfitted with various Crammer Feeder components and will trial your material at varying feed rates, auger speeds, auger flight designs, feed agitation and more. Our engineers will then prescribe the right combination of design features to effectively measure and implement the improvements in your material feed. OUR INNOVATIVE EXTRUSION TEST PILOT PLANT ALLOWS OUR CUSTOMERS TO PERFORM LAB-SCALE DEVELOPMENT AND SMALL PRODUCTION RUNS TO SIMULATE ACTUAL FIELD PRODUCTION CONDITIONS. FOR MORE INFORMATION, CALL US AT 330-837-3868 OR FOR INFORMATION REGARDING A SPECIFIC PRODUCT OR APPLICATION CLICK HERE.  NFM / Welding Engineers, Inc. is a leading global OEM for rubber and plastics extrusion systems. NFM offers full turnkey extrusion systems featuring custom-integrated controls and the highest level of extrusion technology and performance. As the leader in extrusion system design, manufacturing, support and service, NFM is your best resource for reliable extrusion performance. Thank you for your interest in NFM. Please contact us using the information below. For information regarding a specific product or application, click here.